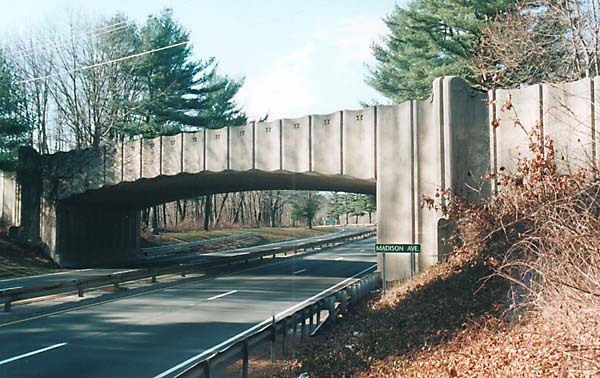 Just A Car Guy: The Merritt Parkway has 69 unique bridges in 37 miles, all designed to add to the beauty of their natural surroundings, and in a variety pf architectural styles including Art Deco, Moderne, French Renaissance, Gothic, Neoclassicism, and Rustic. 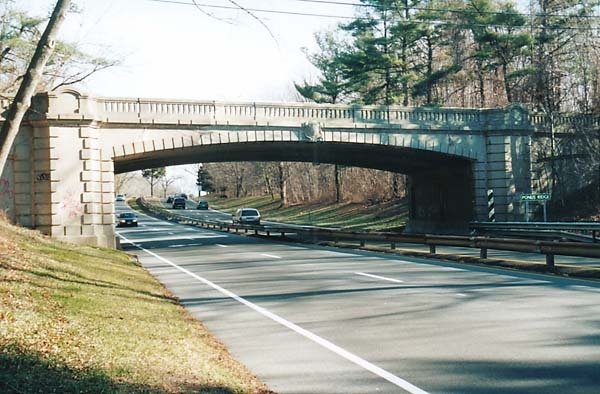 The Merritt Parkway has 69 unique bridges in 37 miles, all designed to add to the beauty of their natural surroundings, and in a variety pf architectural styles including Art Deco, Moderne, French Renaissance, Gothic, Neoclassicism, and Rustic. 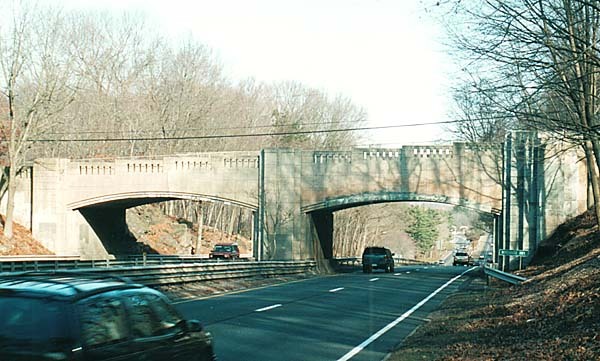 At the time of the Merritt Parkway’s construction each bridge was designed in a unique fashion and no two bridges on the parkway looked alike. 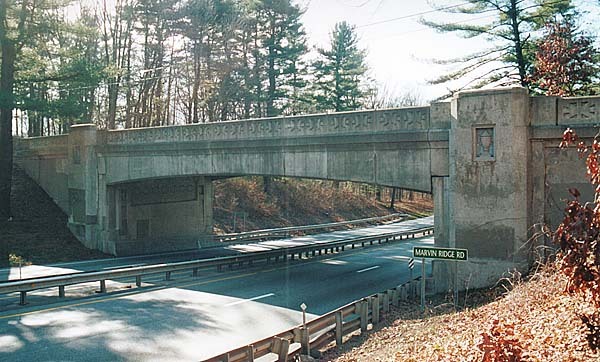 Listed on the National Register of Historic Places, it is still one of a handful of scenic highways in the nation: No commercial vehicles are allowed on the road, which transports motorists through verdant scenery from entrance to exit. 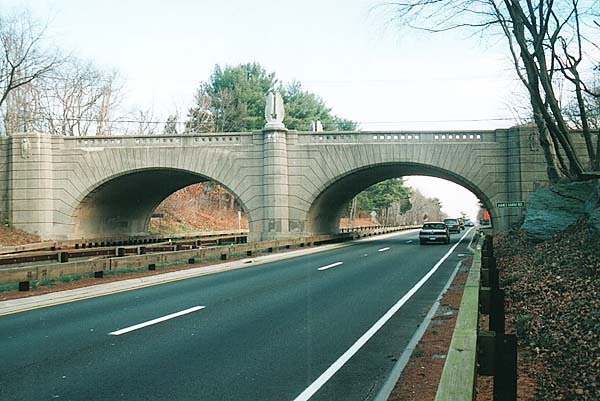 The Merritt Parkway has no lights, it was built in the Great Depression, from 1934 to 1940. A parkway consciously designed to take advantage of the winding nature of the landscape, not just blast through the creeks and outcroppings and other classic features of New England’s natural world.